As the leaves begin to fall and the temperatures get cooler, it can only mean one thing…it is hunting season. 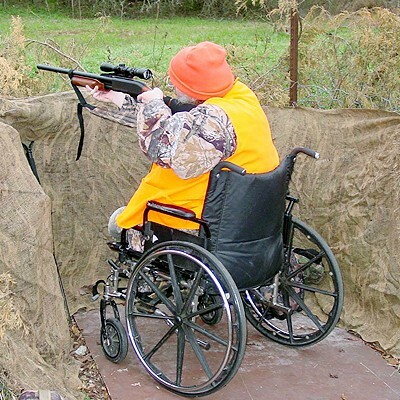 Each year, over 1.7 million disabled people participate in hunting and shooting sports across the country. This number has continued to increase over the years with advances in technology and awareness for resources available to assist the disabled hunter with the sport. From modified equipment to specialized hunting excursions, there are very few limits now to getting out and enjoying a favorite pastime. One of the most notable improvements is hunting equipment which has changed tremendously over the years. Before, many hunters were left with creating their own solutions to overcoming challenges or would not be able to participate at all. Now several companies make and sell high tech adaptive equipment and there are many options to help the hunter such as shooting rests and mounts for firearms, trigger mechanisms, and even adaptive ATVs and trucks. Below is a list of resources that BLVD has compiled to help you learn more about what is available. Here is to a safe and successful season to all hunters!